The National Health and Medical Research Council of the Australian Government (NHMRC) released on July 2nd a Public Statement presenting the current evidence relating potential health impacts of wind turbines on people living in close proximity. The Statement concludes that there is currently no published scientific evidence to positively link wind turbines with adverse health effects from low frequency noise, infrasound or any other kind. Click here to download the integral research. 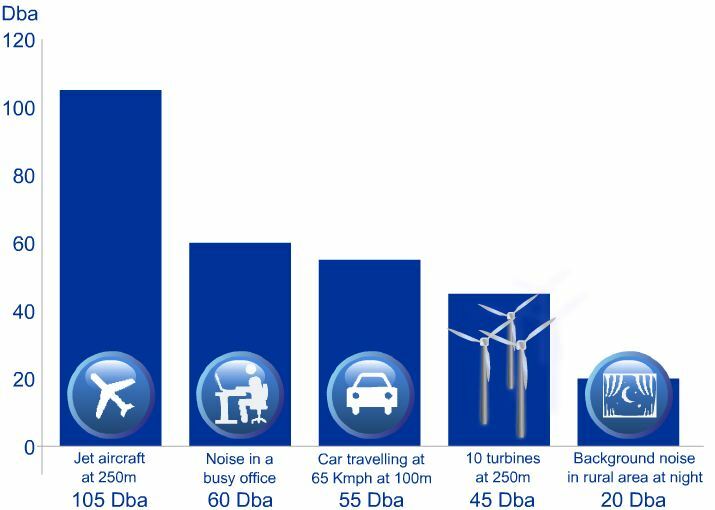 Regarding the noise, the research compares figures of noise produced by some selected activities concluding that noise pollution generated by wind turbines is negligible.